One of the themes that has come up in the mayor’s race—last week’s guest, Mike Ross, talks about it a lot—is making Boston more welcoming to young residents. Julie Judson is doing just that. 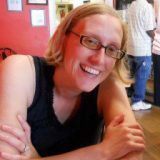 I asked Julie about her work with ONEin3 Boston and The Metropolitans, and the big party she’s helping to throw this Friday night. Tell me about ONEin3 Boston. The organization first came across my desk because of my work with The Metropolitans. The name ONEin3 comes from studies that have shown that one in three Bostonians is between the ages of 20 and 34. The ONEin3 council is run through the Boston Redevelopment Authority and is made up of 40 people who represent all industries from across Boston. In order for this city to thrive, it needs to retain the young adults who come here. There are four umbrella groups on the council, and I’ve served on the Innovation and Economic Development team since March 2013 and will be on it through March 2014. You should have heard my parents snicker when I told them I was on the Economic Development team. “Have they seen your credit card bills? !” they asked jokingly. It’s a really great group of people and I’ve enjoyed getting to know them all. I hear you are throwing a good party. Oh, I really hope so! Let me take a step back so I can explain where I’m coming from. 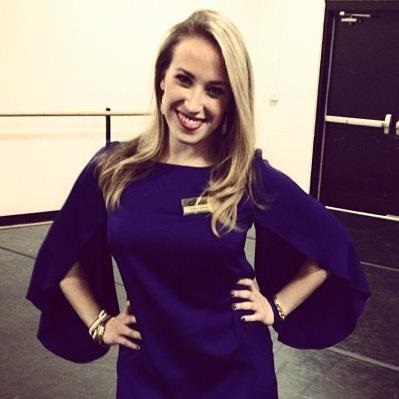 I work at Citi Performing Arts Center, which comprises the Wang Theatre, Citi Emerson Colonial Theatre and the Shubert Theatre. When the Wang opened in 1925, it was called The Metropolitan Theatre, which is the namesake of our young professionals group, The Metropolitans. The Metropolitans started in the 1980s but then disappeared. It came back in a few attempts, but it kind of fell into my lap in December, when I realized I wanted to do it right. We studied the research about Millennials—why they give and how they like to spend their time—and then wrote a business plan for The Metropolitans. We now have 100-plus members and are hoping to continue to grow the group in positive ways. Members get ticket discounts to great shows, a membership card and free and discounted access to Metropolitans events, which range from large-scale social events to low-key networking meet-ups to volunteer opportunities with our arts education programs throughout the city. The membership card is good for discounts at 25 restaurants in downtown Boston. It really pays for itself in a month. In addition to being a group where members can get to know other like-minded young professionals and really be involved in the arts scene in Boston, our hope is to create a culture of philanthropy that’s not intrusive. We want Metropolitans to want to give back in ways that are meaningful to them, and we want to begin to foster lifelong relationships with them as future arts leaders for Citi Center and for Boston at large. 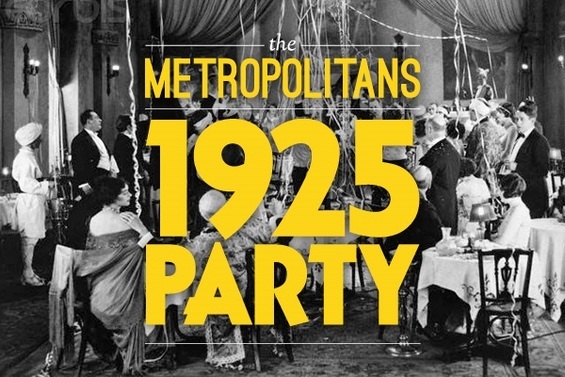 Now, the party: We’re throwing the 1925 Party because that’s the year The Metropolitan Theatre opened to the public. It seems to be that kind of year, with “The Great Gatsby” movie coming out. The lower lobby of the Wang used to be a dance hall where patrons would go after seeing a movie or vaudeville act upstairs. You could pay a quarter and dance all night. So we’re reopening the dance hall for the party. There also used to be a men’s smoking lounge in that space, but we’re recreating that room as a speakeasy for everyone. There will be a jazz band and a tarot card reader. We’ll have a DJ in the dance hall, specialty cocktails created by a young mixologist, a photo booth and more! We’re excited to be working with and supporting the businesses of a lot of young vendors in Boston. It’s an opportunity for us to have a captive audience and tell them why the Metropolitans is an important group. It’s an affordable way to connect this age group to the arts. We want people to enjoy themselves, but we don’t want people to feel it in their bank accounts. I think it will be a great time. You are in the arts community. What’s a must-see in Boston this fall? What a tough question! There are so many great things to see and do in the arts in Boston. I think, if I was forced to pick absolutely one thing (please don’t make me! ), I would have to choose the Museum of Fine Arts’ First Fridays series. On the first Friday of each month, the MFA hosts a pretty hopping party. There are cocktails, hors d’oeuvres, great music by my friend DJ Deja (who’s providing the soundtrack for the 1925 Party! ), and all of the galleries are open to enjoy. Even if you’re not that interested in what’s “on view,” it’s a great way to shake things up and enjoy an important cultural institution in our city. It’s the perfect blend of atmosphere, access, affordability and art, which makes it a great destination for a night out with friends, a date, an escape or just the end to a long week. Plus it happens every month, so it’s the gift that keeps on giving—you can enjoy it all year! I understand you’re a dancer. I have a years-long addiction to “So You Think You Can Dance.” Do you have a favorite dance show? Ha! Well, I won’t bore you with my SYTYCD audition story. I still watch it, but things I used to love about the show have definitely changed over time. Right now I’m obsessed with the USA women’s gymnastics team. I watch YouTube clips of their routines. I did gymnastics when I was little before I got serious about dance, and I really admire the sport. I think of it as an alternative to dance. The women’s Olympic team from last year was just so amazing!